We recently had news of a few Amish families moving to Vermont, a place with no other Amish presence. If that attempt succeeds, it will make 31 total states where Amish live. Which other new states might Amish settle in the coming years? After thinking about it, I see a few possibilities. Read on to find out which five I chose, and why. Since Vermont has recently drawn interest, and Maine already has five communities of its own, New Hampshire might one day attract its own Amish population. “Live Free or Die” is the state motto. New Hampshire’s libertarian bent would likely bode well for conservative Amish wishing to avoid conflicts over lifestyle seen in other places. Also, the overall tax burden in the state is low, though property taxes are rather high. Amish have lived here multiple times–including four communities pre-1950. 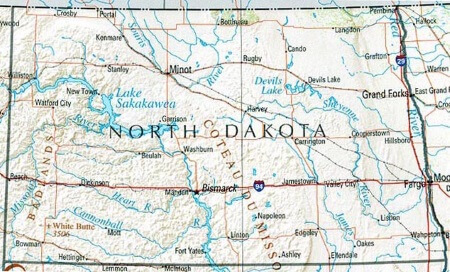 They already have the other Dakota covered (albeit with a single small settlement). Amish in non-traditional regions often have to be more flexible with how they make a living (such as those living in Colorado’s San Luis Valley). This would likely be true in North Dakota. Difficult climate and growing conditions hampered some of those early settlements. But since non-agricultural business is now a strong part of Amish culture, success here may be more possible today than in the past. A conservative state perhaps more readily associated with non-mainstream religion than any other. Amish have been steadily creeping in this direction, having settled Colorado and Wyoming in recent years. Mennonites from South Carolina recently started a ministry in the Utah Valley (an effort encouraged by Christian Aid Ministries). Another place where Amish have lived in the past–albeit on only one occasion, in the early 1900s. Historically, Amish settlement has been quite rare in the Deep South. However, Amish today have a strong-ish presence in Tennessee, and a single community in neighboring Mississippi. 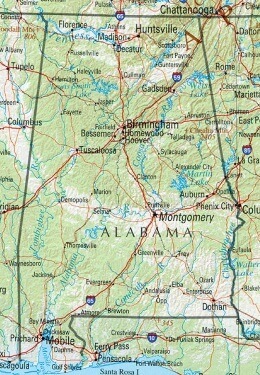 In fact, two of the Tennessee settlements are within 30 miles of the Alabama border, so this one seems quite possible. This one might sound far-fetched. But Amish have on several occasions tried to settle way off the beaten path (e.g. British Columbia or Paraguay). And you might be surprised to learn that in 2010 Amish made a scouting trip to the 49th state, though they failed to find a suitable location. However, all it takes is a few families with a sense of adventure and enough change in the pocketbook to make an attempt. 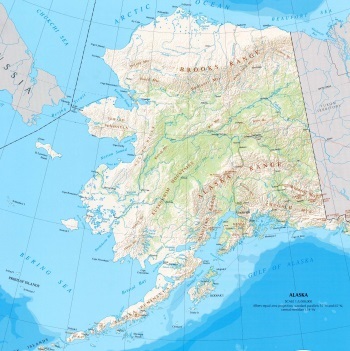 It’s unlikely a settlement would last for a long time in Alaska, though, which has been the case with most other “remote” settlement tries. Of course, we could also make a list of states where Amish are least likely to settle (I’d put Hawaii and Rhode Island at the top of that one 😉 ). What do you think? Where will we see Amish in the next 5, 10, 20 years? And where won’t we see them? When I was a little child, the only place we saw Amish or Mennonite was in Pennsylvania on our way to Florida for vacation. I live in New York State. Yesterday I went to take pictures and there are Mennonite in the town next to where I live. There are Amish less than 15 miles away. There are several farms in our town that came up for sale. I hope they are sold to either Amish or Mennonite. It seems Amish and Mennonite are moving into lots of areas. I just returned from Lancaster but before I left, I ran into two Mennonite women at a yard sale in Redding. Could plain folk be moving in? Where in new York are you? 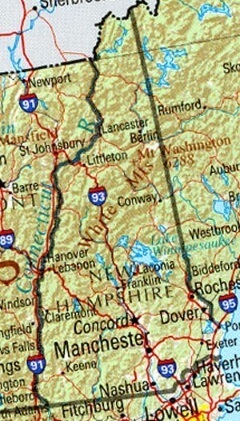 I live in Western ct and new York is a lot closer than pa! To know of a community near me would be so great! I grew up in the north and just down the road from an Amish settlement. I loved buying their produce and baked goods. Mom and I when to visit for the weekend up in Holmes county. LOVED IT!!!!! Now I live in Alabama not far from the Tennessee border and I miss living around the Amish. I hope and pray that they’ll settle here in Alabama. It’s beautiful here. 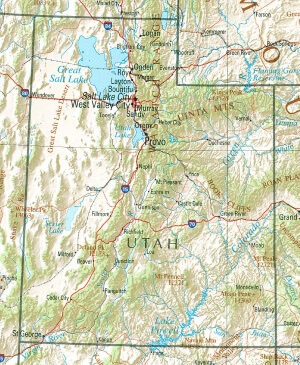 I think the Amish community would be welcomed with open arms in Utah. I know several of the Mennonite families in Northern Utah and I feel they are loved by their neighbors. What great, hardworking and honorable friends they have become….. The impression I got from the article I linked above about the Mennonite outreach in that area is that the area was especially friendly towards the new Mennonite arrivals. Maybe one day the Amish will follow. I’ve only been in Utah once, about 20 years ago in Salt Lake City, and don’t remember much about it but for the scenic high mountain ranges around the city, and that the air was especially dry. The states I would think the Amish least likely to settle, besides those you mentioned are Louisiana, Nevada, and Arizona. I wouldn’t be surprised to see Amish heading to Georgia, Texas, Washington, or Oregon. The Alaska surprised me : that’s a long way unless they would allow their members to fly be airplane. There are New-order Amish from here in Holmes starting an outreach in Argentina and (maybe) Bolivia. Members of the Old Colony Mennonites who visited Amish in Canada liked what they saw and requested that these Amish would assist them in starting a settlement down there, so the Canadian Amish (who would be of a stricter order) asked the New-order if they would considered it, because they would be able to fly down. I could be wrong about this, but are there Amish from Manton, MI, looking to start a community in South America? Someone said they saw something about that in “Die Botschaft” and I’m wondering if it’s connected to a group going to help Old Colony Mennonites. I dont know about Manton, but I assume you know the New Order are helping a group in Bolivia, and one person I talked to that went down told me it would be “an Amish church, but with some possible differences in applications,” that what a typical North American church may have. That would include, I assume, that the people down there are all from Colony Mennonite background. I think other Amish would also experience this who move from heavily settled Amish areas to new areas in the U. S. where there are no Amish or other members of plain churches. I agree it’s neat to hear that news. A friend of mine who’s in Montana now tells me there is a new New Order settlement in the western part of the state, with a couple families there and a couple more coming. I heard a couple of years back that Amish make regular trips to the town next to where I live, about 45 miles northwest of Atlanta. They come to see a holistic Dr. Then my grandson told me, that a girl he goes to school with has seen Amish in Bremen. I told him that I thought he was mistaken. Last week a lady told me that there is a settlement of Amish in Bremen. She said that they walk everywhere they go because they have no transportation. Does anyone know? This would be an ideal place to settle, because the weather is not harsh here and the land is good farm land. I am going up there and check it out. It’s possible Amish may visit the area if there is a particular medical practitioner they are interested in. Some Amish people travel very long distances for medical treatment. when they do. I love Amish food and admire them totally. It would be nice to see some Amish settle in Central CA. We would welcome Amish here and give them good business. It would be wonderful if the Amish would settle here again. We recently moved here from Michigan, and I was saddened that there are no Amish here. With the many wine country areas, I wonder if that would be a draw for them-growing crops of grapes? I truly wish they were here. California has good agricultural land. But maybe they would object to land prices or California’s socially liberal laws and culture (though I think the rural areas are conservative). I am from California, and I have also noticed that many farms here are quite large. And back in college one of my History professors said the state has a long history of large-scale and factory farming. That coupled with the cost of land makes me think it is somewhere the Amish are unlikely to settle. I can see Amish possibly settling in Northern Nevada, with the ranches,hunting, farms, and possible opportunities working as miners. I do not believe they would ever consider Southern Nevada, and especially not the Las Vegas metro area. I know Amish love to come down to Sarasota in the winter months to vacation and I am sure there are some who stay there year-around. Why not come to North Florida? Winters are mild here allowing for yeara-round farming. The land is workable and relatively flat. We get lots of rain and few hurricanes. The climate in North Florida is very conservative with more Christians than anything else with minimal government interference (At least that has been my finding for Taylor County. 😉 ) Real estate is pretty cheap. It just seems like a win/win to me. Vermont has very reasonably priced farmland by New England standards — cheaper than any state other than Maine, and much cheaper than MA, CT or RI (but not so cheap as northern NY). It’s about on par with Kentucky and Missouri. As a longtime visitor of the state, I think I can also say that the cultural context is very compatible with Amish settlement. CT and MA actually do have a lot of still-rural land, but these properties are still bid on by wealthy families from the NYC area looking for summer retreats, and land values are kept relatively high.